Last Friday, I took to Next Projection to air a grievance I’ve had with many of my favorite TV critics. From the New Yorker to Vulture, NPR to Huffington Post, the critics I read every week seem to have become fixated on a single topic: To convince “Breaking Bad” viewers that Walter White is a bad man and that those who continue to sympathize with him are either “Bad Fans” or blind “Team Walt” devotees. I think there’s another, simpler answer. You’ll find the first few paragraphs of my piece below. For the full article, head here. Last week’s rattling episode of Breaking Bad has already inspired a small anthology’s worth of online criticism. This post attempts to dismantle one or the most prevalent arguments made in relation to that episode, and the show as a whole. It contains no actual spoilers. The episode, “Ozymandias,” once again forces us to reassess how we feel about Walter White, the show’s slippery anti-hero. 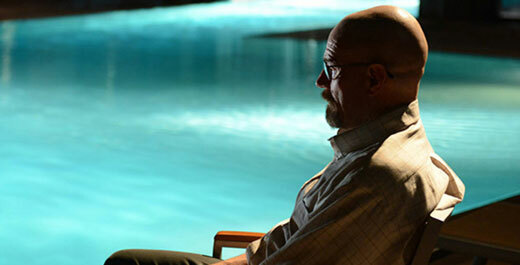 Much of the discussion has focused on an explosive phone call between Walt and Skyler. In reference to this specific scene, many of our finest TV critics have written recaps and tweets mocking those who continue to hold warm feelings for Mr. White. These viewers are “bad fans” who are “watching wrong,” says Emily Nussbaum of The New Yorker. They are the same simpletons who misinterpreted the ending of The Sopranos or thought that show had “not enough whackings,” says Matt Zoller Seitz and Mo Ryan. They are “freaking me out” says Linda Holmes of NPR. They are, quite simply, the “the worst of #BreakingBad fans,” says Alyssa Rosenberg.